Egypt Travel representative will pick you up from your hotel in Cairo or Giza. Then transfer to the south and visit the Red Pyramid and Bent Pyramid at Dahshur, Dahshur is a famous royal necropoils in Egypt holds many famous Pyramids includes the red and bent Pyraimds of king snefru. The site is about 40 km from Cairo, the city. 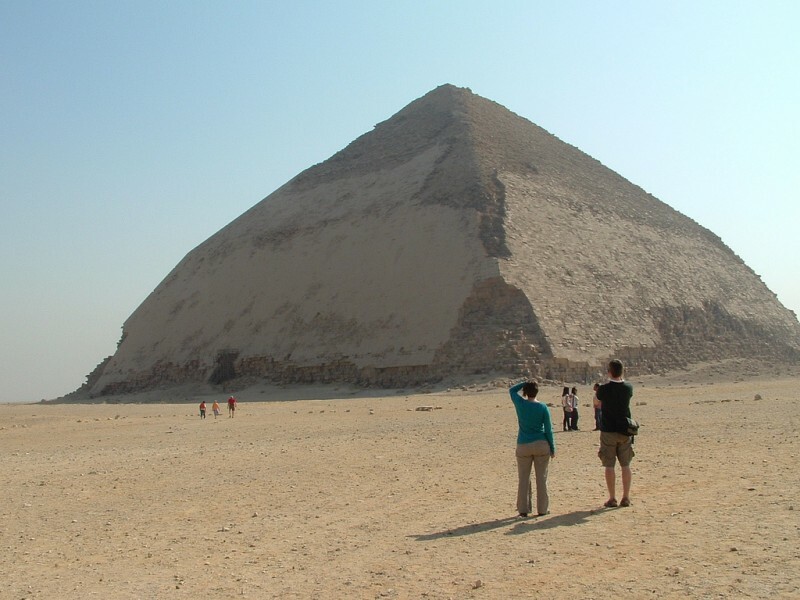 Move to visit the Step Pyramid of Zoser, the world's oldest major stone structure. It was built in the 3rd Dynasty (around 2630 BC) for King Djoser. Then proceed to have your lunch at local restaurant. After that enjoy an excursion to The Pyramids of Cheops, Chephren and Mykerinus. Then proceed to visit the Great Sphinx, the head of a pharaoh with a lion's body, which dates back to the time of Chephren; the tour also includes a visit to the Valley Temple, which belongs to the Pyramids of Chephren. Back to your hotel.